Each week, Flight Club is going to highlight a plane that's for sale, for those who might be looking to buy. Here are the criteria: the plane must be complete and flyable, and under $30,000, which is roughly the average car price. 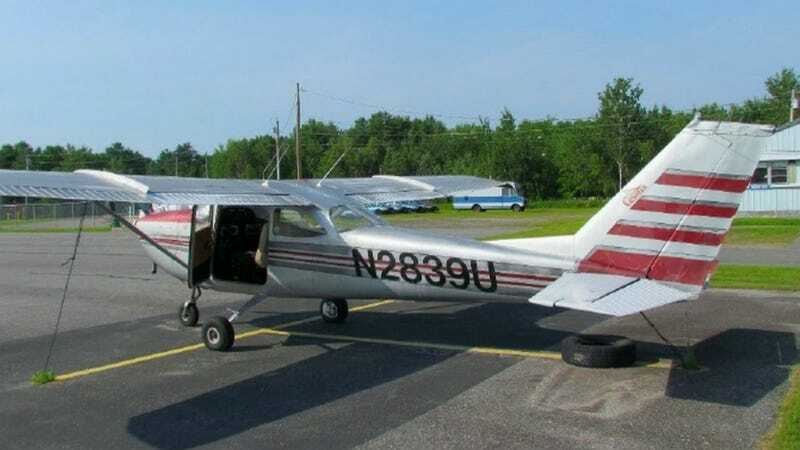 Let's take a look at this week's find — a 1963 Cessna 172. Listed at only $15,000, this attractive 4-seater Cessna 172 just had its annual maintenance check up in June, as well as a new headliner in 2008, new upholstery in 2009 (though I question their fabric pattern choice), and carburetor in 2010. It has a STOL (short takeoff and landing) kit, including aileron, flap seals and stall fences. I like the retro-looking paint job on this bird, too. The airframe has 3,350 hours, and the engine has 1,350 hours. It's based in New Sharon, Maine, and you can find the seller's contact info here on AeroTrader.